From the creator of Dorian Nakamoto Artwork, @cryptograffiti, Bitify is proud to bring you his latest work of art, “Terrible Store of Value“! 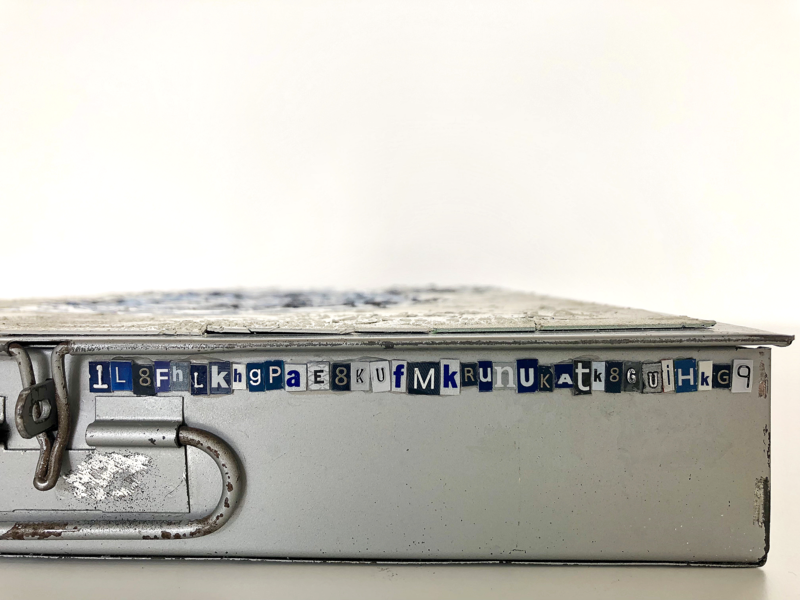 Early in his career, cryptograffiti was the first artist to utilize a public-facing wallet to receive crypto donations for street art. Upon discovering his work, passersby sent bitcoin in support of the art. cryptograffiti’s current work is comprised of tangible materials from industries being disrupted by the blockchain. Looking forward, he is excited at how blockchain technology will transform the art world and to play a role in leading this new direction. cryptograffiti’s work has been featured in The Wall Street Journal, Forbes, International Business Times, CNNMoney, Bitcoin Magazine, CoinDesk, World Crypto Network, Bitcoin.com, CoinJournal, CryptoCoinsNews, Bitcoinist, Inside Bitcoins, Free Talk Live, The Tatiana Show, SF Weekly and other media outlets. He has exhibited at Satoshi Roundtable, CoinDesk Consensus, CoinDesk Construct, The d10e Conference, Digital Garage’s New Context Conference, The Blockchain Supper Club, BlockCon, LaBitConf, Proof of Art, and Blockchain for Good. His work is in the collections of Blockstream, Kraken, Blockchain Capital, Shapeshift, the Montreal Bitcoin Embassy, Digital Currency Group, Wachsman PR, Jesse Powell, Matthew Roszak, Brock Pierce, Erik Voorhees, Marc Andreessen, Charlie Shrem, Samson Mow, Jason King (Alphabit), Marshall Hayner, and other notable figures within the space. Bitify is proud to exclusively host yet another amazing artwork by cryptograffiti. 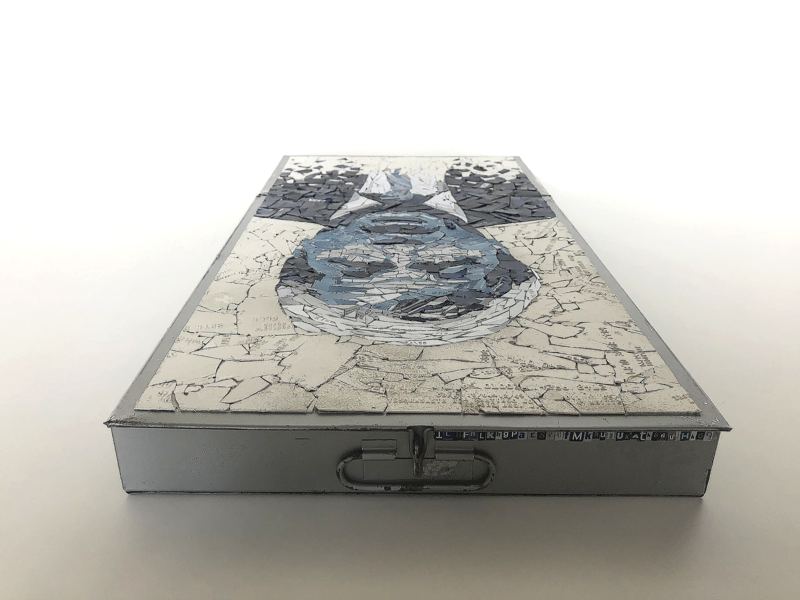 The art piece represents an ideological and philosophical interpretation of what the crypto-currency in general and Bitcoin in particular have gone through over the last few years. From FUD, distrust, accusations and so forth coming from the traditional the financial system and those considered representatives and public figures in Wall Street. 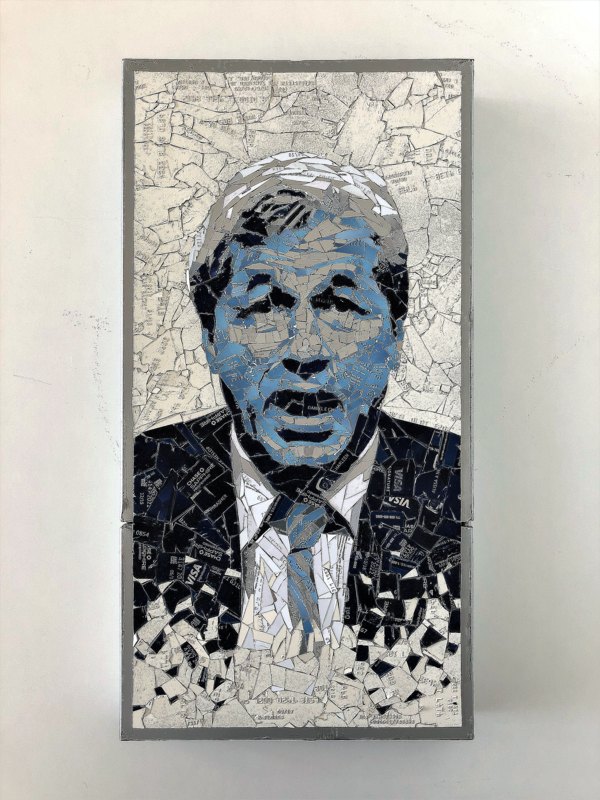 “Terrible Store of Value” features the face of Jamie Dimon made out of destroyed credit cards and assembled on an old bank deposit box. The piece can also feature the winner’s own Bitcoin address on request. Over the years, there has been countless negative commentary directed toward Bitcoin by central bankers. Four years ago, Jamie Dimon famously deemed it a “terrible store of value.” More recently, he described Bitcoin as a “fraud” despite JP Morgan Chase’s own record setting settlements with the Department of Justice for underwriting fraudulent securities leading up to the 2008 financial crisis. “Terrible Store of Value” counters Dimon’s statements while demonstrating the versatility of cryptocurrencies. Dimon is depicted in a disintegrating state, mirroring the public’s trust toward traditional banking institutions. The work itself acts as a store of value via an integrated bitcoin wallet. Value can be added, stored and removed from the piece at will without the oversight of any central authority. Furthermore, the artwork is certifiably authentic via the blockchain – one of many innovations brought about by this technology to combat fraud. The provenance of “Terrible Store of Value” has been certified via Verisart where it is permanently and immutably on display. If only Wall Street’s motives were this transparent. The auction will start on Tuesday the 6th of February at 14:00 UTC (Monday, February 5th at 9am EST) and run until Saturday the 10th of February at 20:00 UTC (Friday, February 9th at 3pm EST).